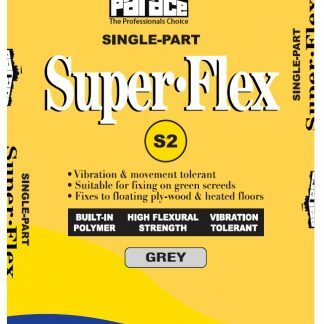 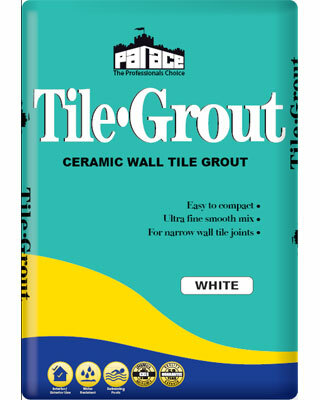 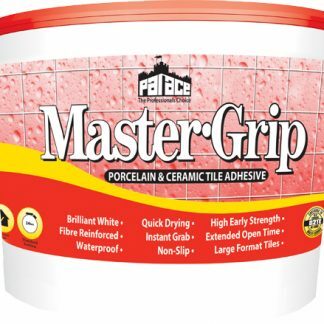 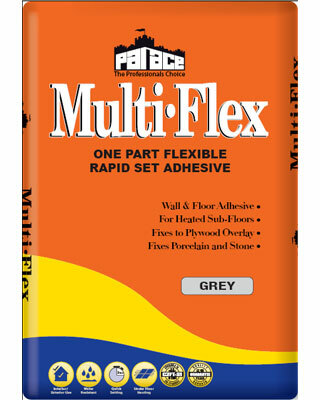 PALACE Single Part Super-Flex is a highly polymer reinforced cement-based adhesive suitable for fixing all types of ceramic floor and wall tiles, including mosaics, porcelain and vitrified tiles onto some of the most difficult surfaces in internal & external situations where slight movement or vibration is likely. 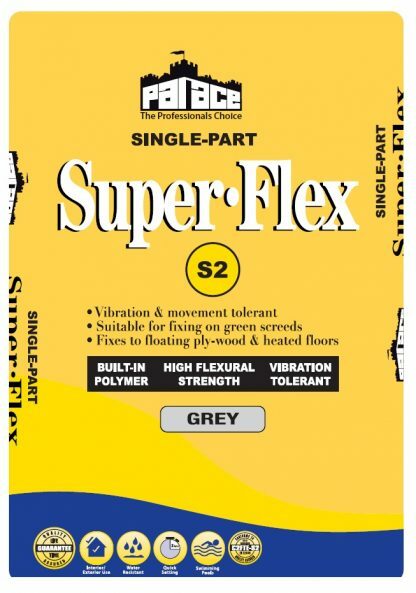 The product is mixed with water only and is suitable for fixing onto plywood over-laid with Tile Backer boards boards as well as tongue and groove floorboards, floating floors and also where sub-floor heating is installed. 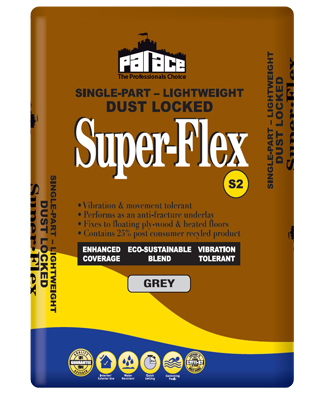 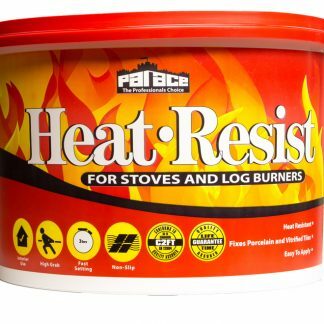 PALACE Single Part Super-Flex fast-setting properties allow foot traffic & grouting to proceed just 4 hours* after fixing.